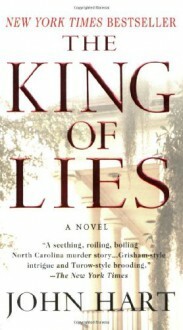 Jackson Workman Pickens--known to most as "Work"--mindlessly holds together his disintegrating life: a failing law practice left to him when his father, Ezra, mysteriously disappeared, a distant wife who shares their loveless marriage, and an estranged sister who bore the brunt of their childhood trauma. And then Ezra's body is discovered. Set to inherit his father's fortune, Work becomes a prime suspect. But so does his sister, Jean. As much as Work's life was overshadowed by his domineering father, Jean's life was nearly destroyed by him. But does that make her capable of a vicious murder? Fearing the worst, Work launches his own investigation, crossing paths with a power-hungry detective, a string of damning evidence, and the ugly rumors that swirl within his small, moneyed Southern town. Desperate for the redemption that has eluded him for so many years and stripped of everything he once valued, he fights to save his sister and clear his name--in this poignant and thrilling anatomy of a murder and its ripple effect within a family and a community. Another nominee for Edgar best first. The main character completely got on my nerves but the story was compelling enough that is made me want to find out what happened.